How many years must I continue to work at my current savings rate, before I can retire with confidence? If I save 2% more, how does that change my retirement timeline? How about 5% or 10%? What are the best ways for me to save money? Should I add to my employer’s savings plan first? Like most aspects of your financial plan, your savings strategy should be optimized for your individual situation. Your advisor can run the numbers and help you decide how much to save, what vehicles to use, and how to invest the dollars you save. For many younger clients, debt pay down should be a prioritized form of saving. It’s important to keep an eye on your debt-to-income ratio, the amount of debt you’re carrying in relationship to the amount of money you’re bringing in. You don’t want your liabilities to hamper your ability to save at your correct rate. Pro tip: avoid credit card debt like the plague. You want your savings efforts to be as tax-efficient as possible. For most of us, this means contributing to a pre-tax retirement savings plan. You (and your spouse, if you’re married) should almost always maximize your pre-tax savings first. (For some folks in lower tax brackets, after-tax savings to a Roth IRA or Roth 401k may be more effective.) Consider after-tax savings to a taxable account only if you’ve already maxed out your pre-tax retirement plans, and if you already have your insurance protections and emergency fund in place. There’s no way around it: with ample time, compound interest is magical. With too little time, it’s tyrannical. The earlier you start saving, the better. This is arguably the best financial lesson anyone can teach the young people in their lives.  For most of the investors we serve, we recommend targeting a savings rate of 20% of your gross annual income for retirement planning, well above what the average American saves. Cover these bases with the help of your financial professionals and review them each year to stay on track. Inadequate savings can’t be fixed through superior investment returns, and bad investment practice can defeat even the most disciplined saver. We’ll help you follow best practices in both areas, savings and investments. On your path to building lifetime wealth, never lose sight of the fact that your saving strategy is just as important as your investment plan.